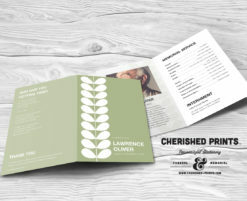 We use fine archival acid-free 100# cover weight paper. 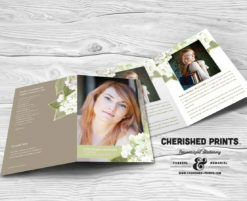 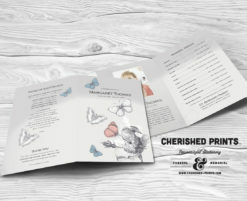 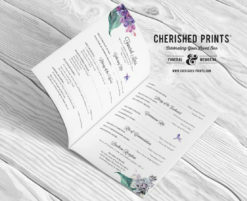 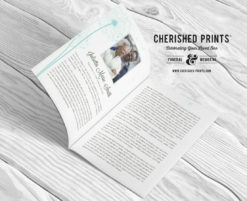 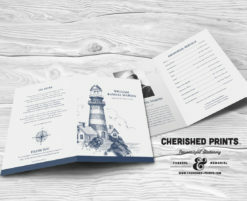 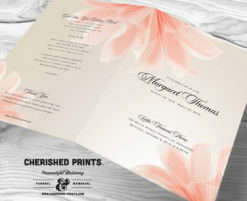 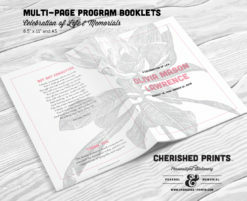 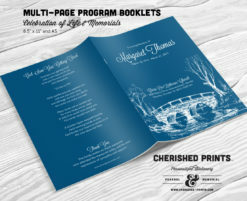 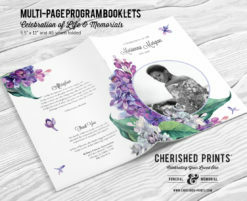 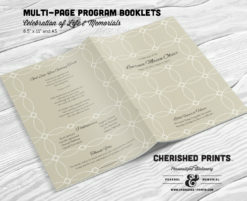 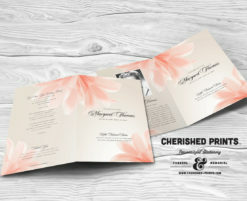 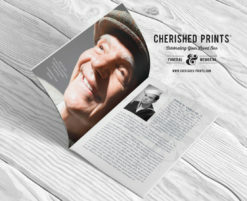 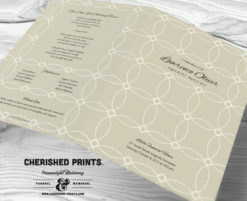 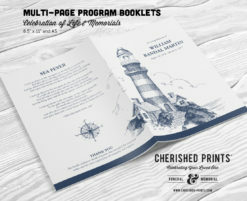 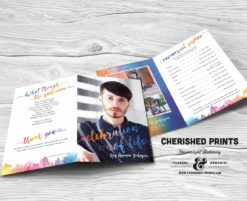 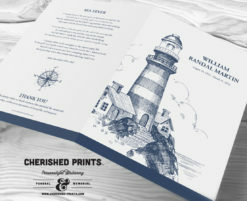 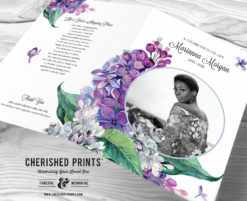 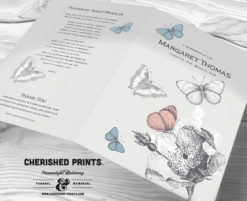 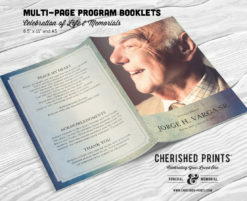 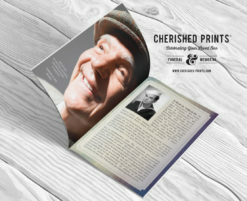 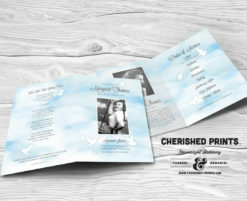 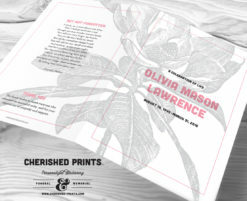 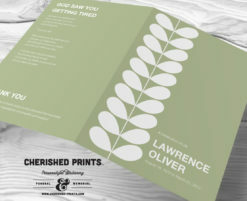 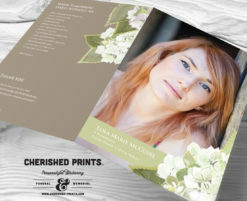 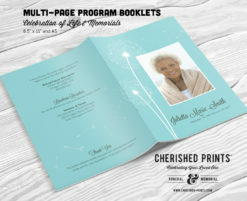 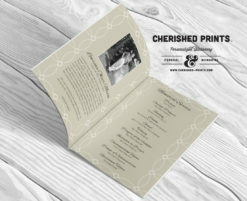 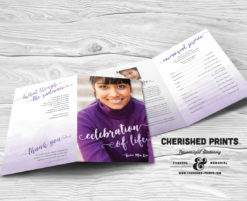 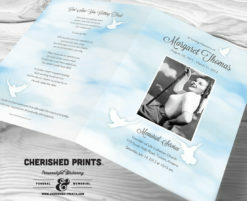 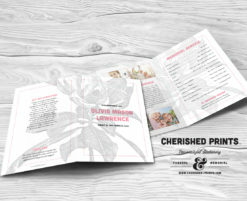 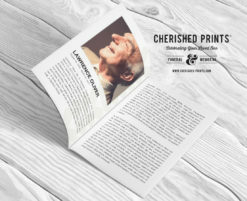 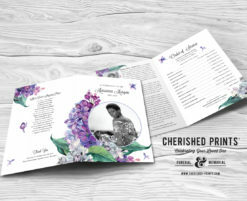 All printed Celebration of Life Programs, Funeral Programs, Memorial Programs come finished. 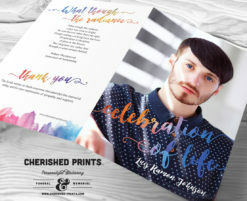 That means no trimming or folding for you. 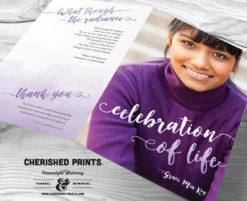 Need help with your message? 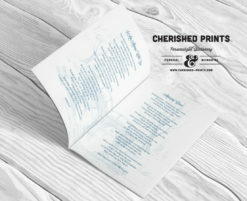 Check out the searchable Cherished Prints Library a collection of over 400 poems, songs, prayers, etc. 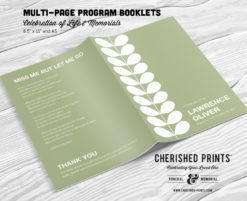 We also offer a complete collection of corresponding thank you cards, prayer cards, memorial cards, bookmarks, memorial announcements/invitations, and memory/attendant cards.